The first exciting footage from the action thriller Last Knights has arrived. Kazuaki Kiriya, known for cult hits Goemon and Casshern, returns to direct Clive Owen, Morgan Freeman and an ensemble of up and coming actors in this tale that follows a group of warriors out to avenge their master. 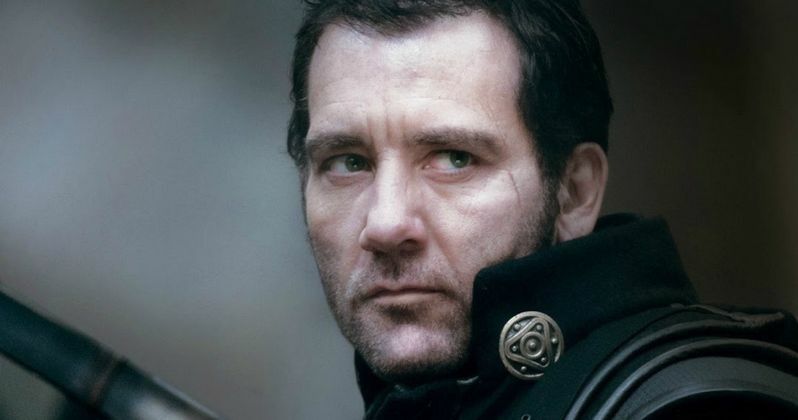 Academy Award Nominee Clive Owen delivers an electrifying performance in Last Knights. He stars as a fallen warrior who rises against a corrupt and sadistic ruler to avenge his dishonored master, Academy Award Winner Morgan Freeman. This is an epic, sword-clashing adventure full of loyalty, honor, and vengeance. Take a look at the first footage from Last Knights, which comes to select theaters and On Demand April 3. Will these fallen soldiers be able to rally and get revenge against this evil, all-ruling emperor? If you love a good swashbuckling tale full of swords and swinging fists, you won't want to miss this epic!